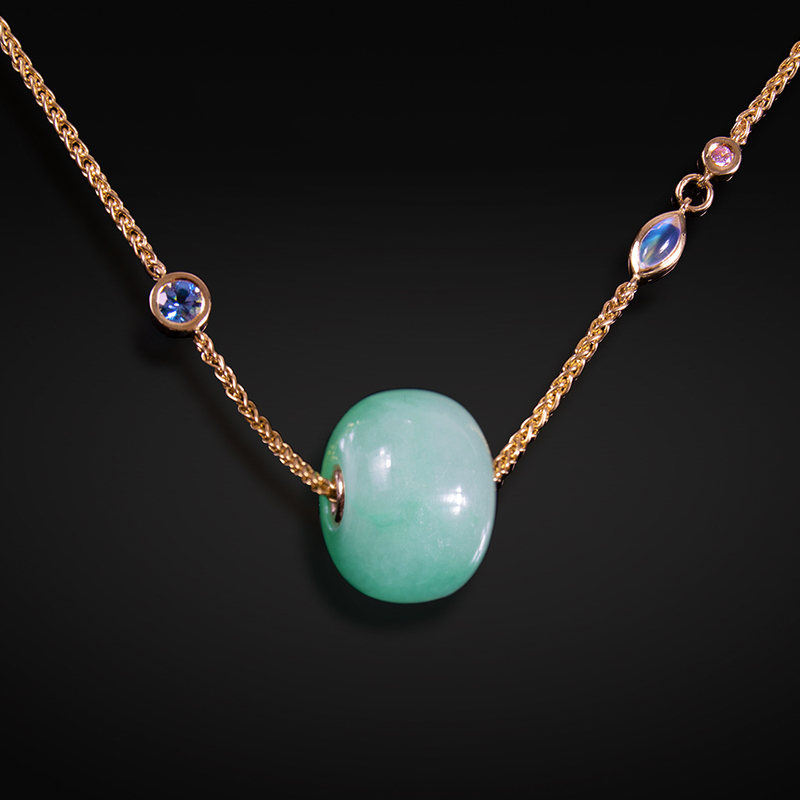 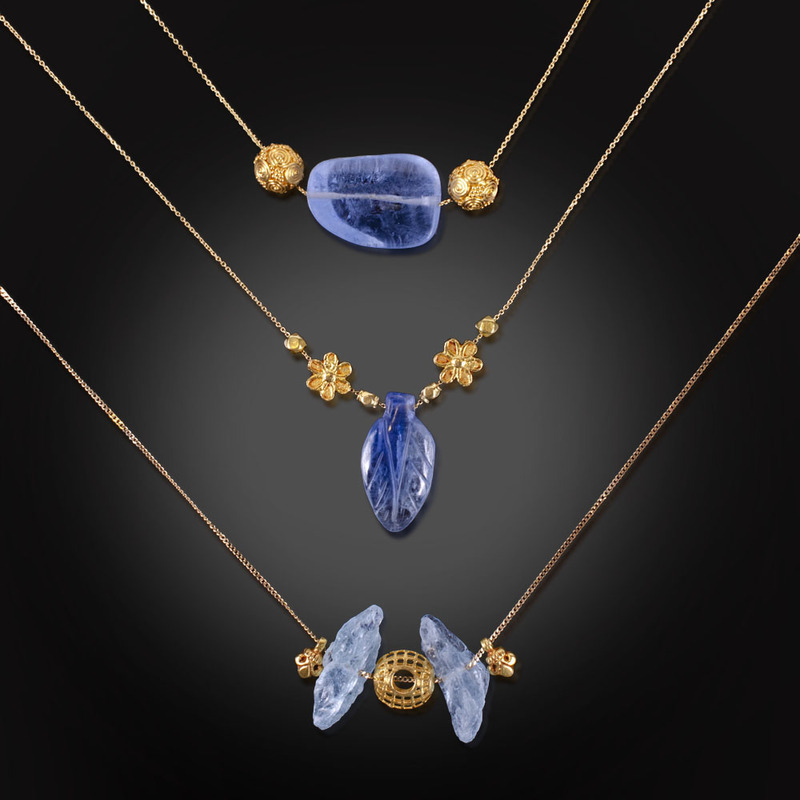 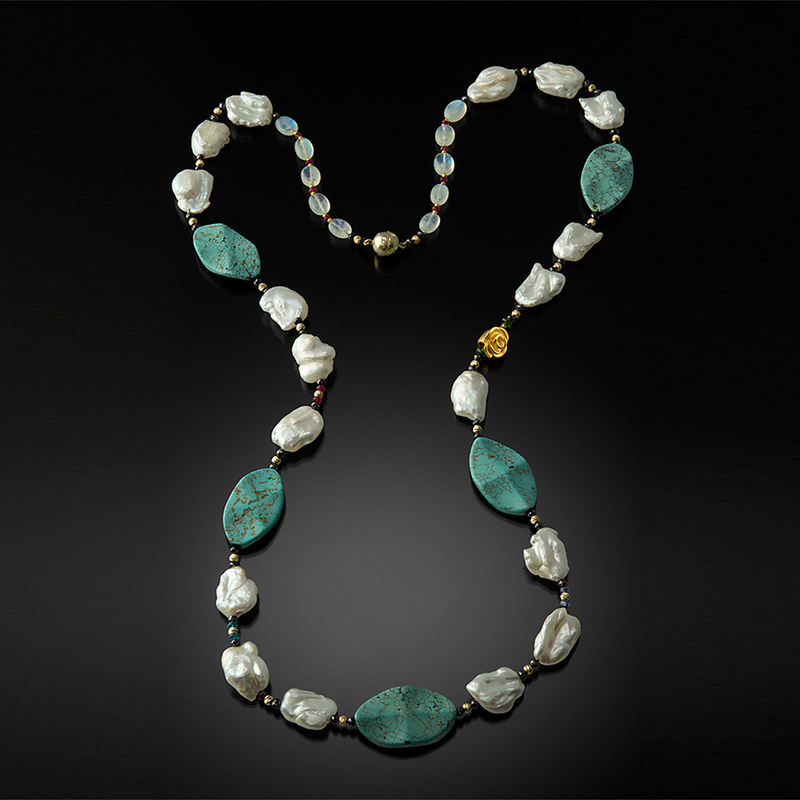 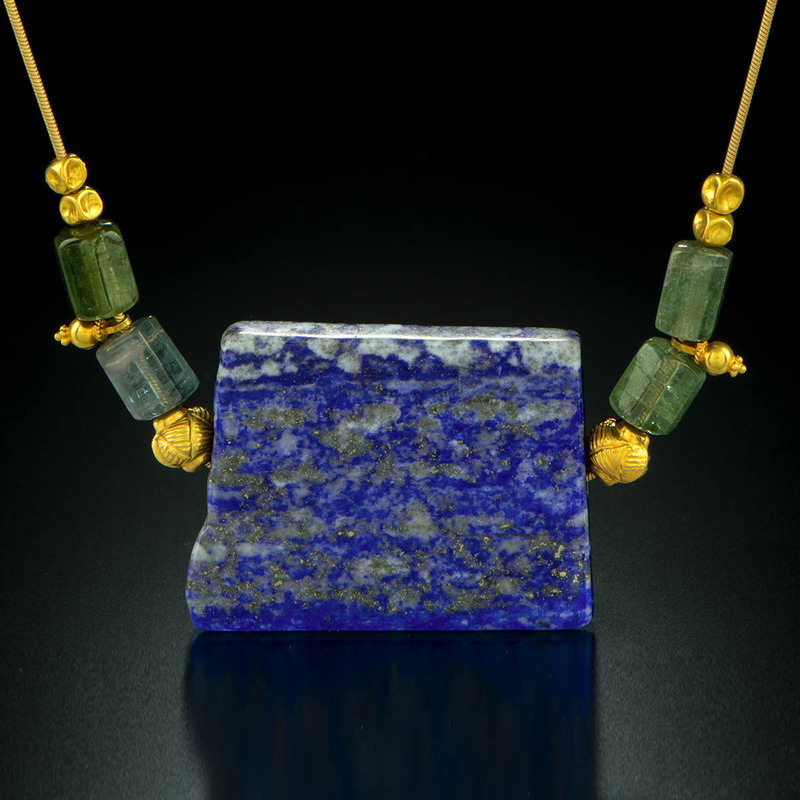 18K yellow gold necklace with Lapis, green Tourmaline and 18K gold beads. 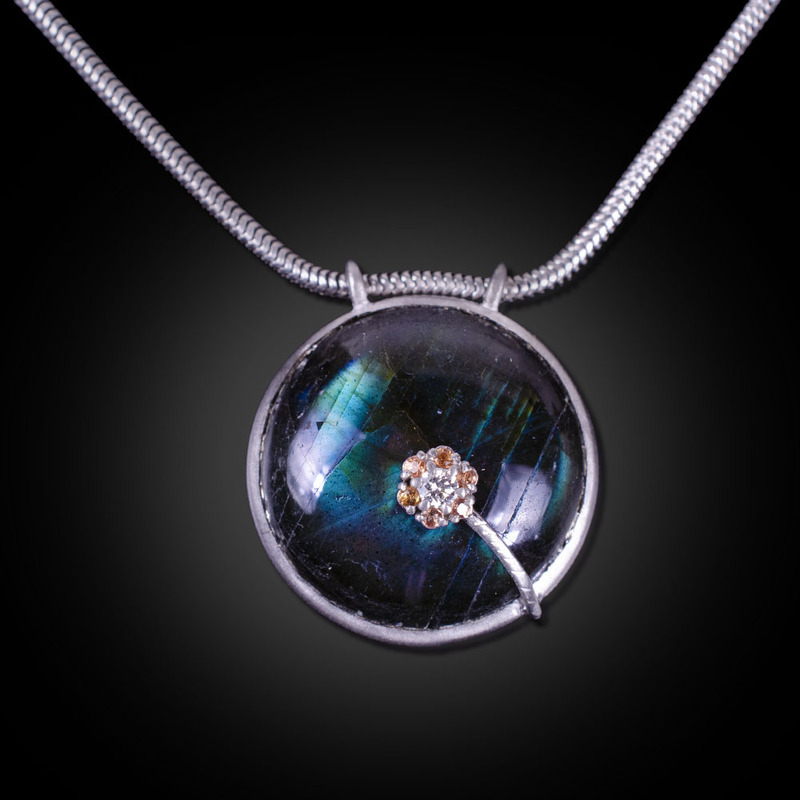 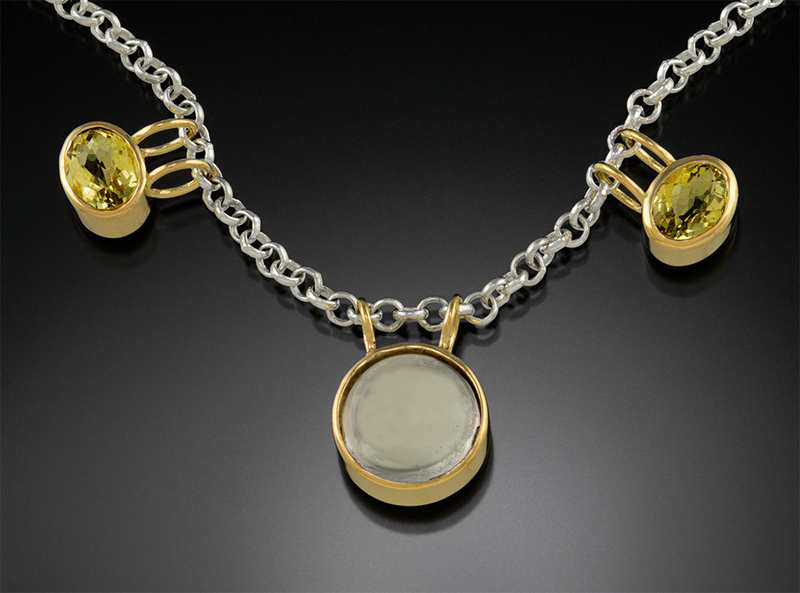 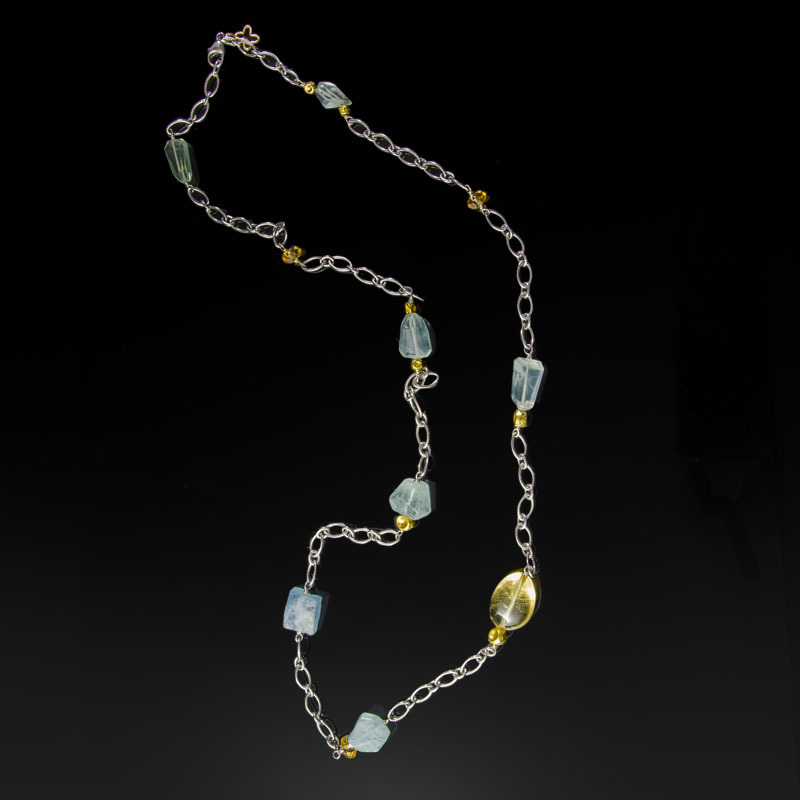 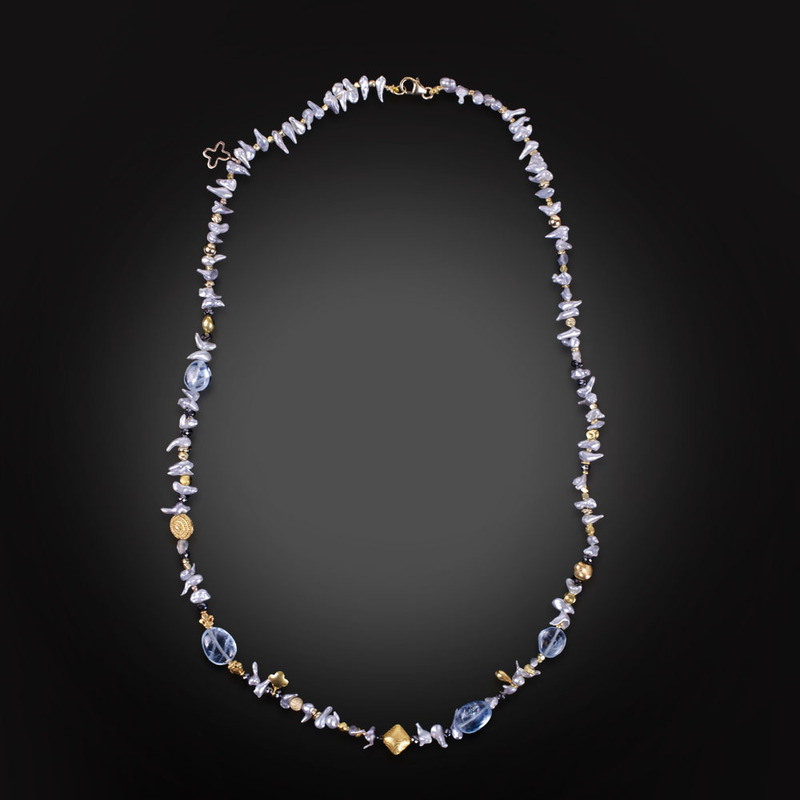 Sterling silver necklace with 18K yellow gold and gemstone beads. 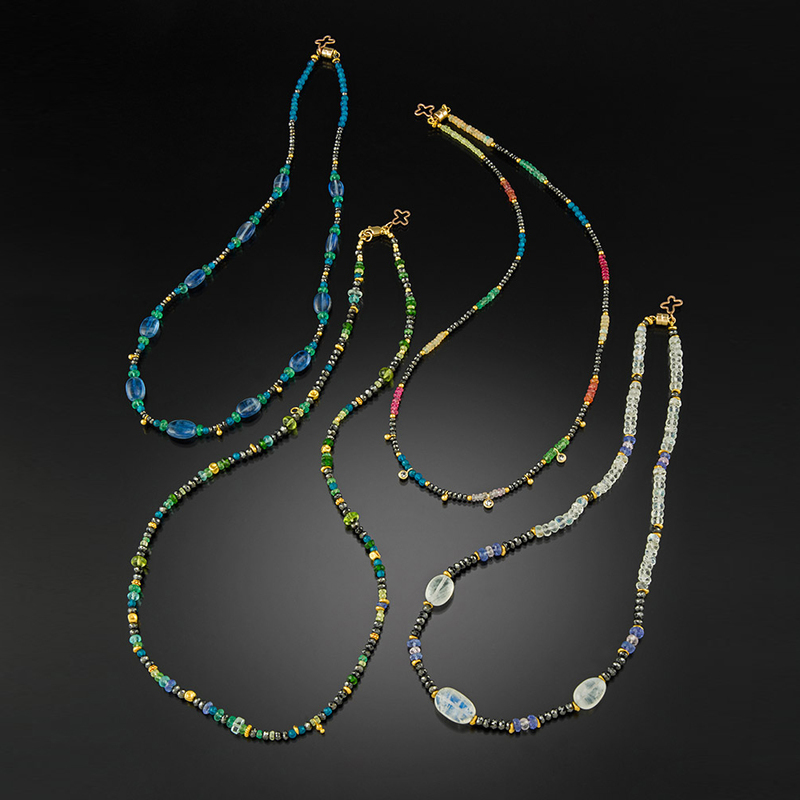 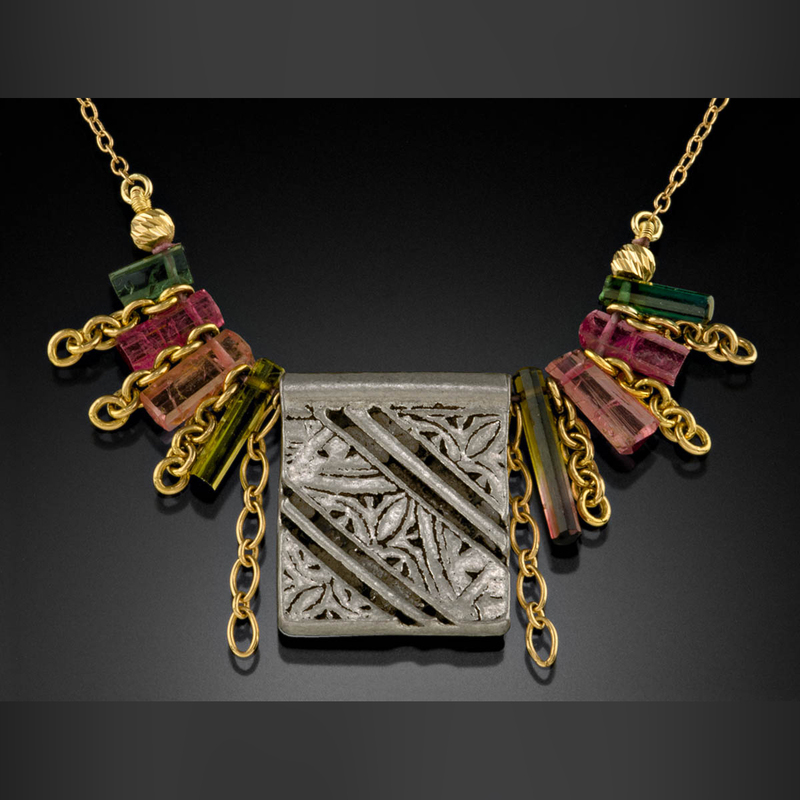 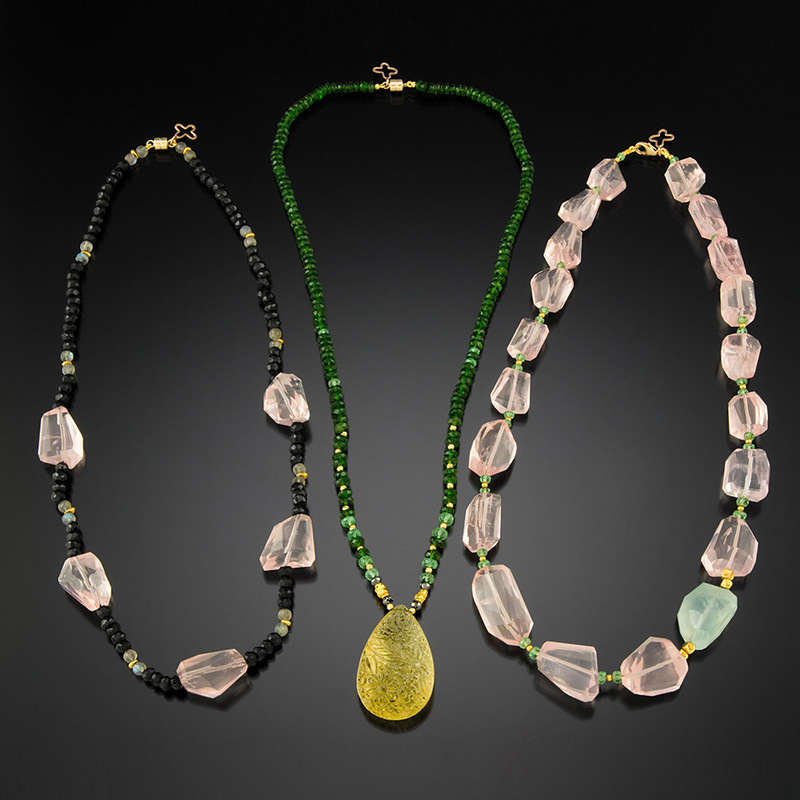 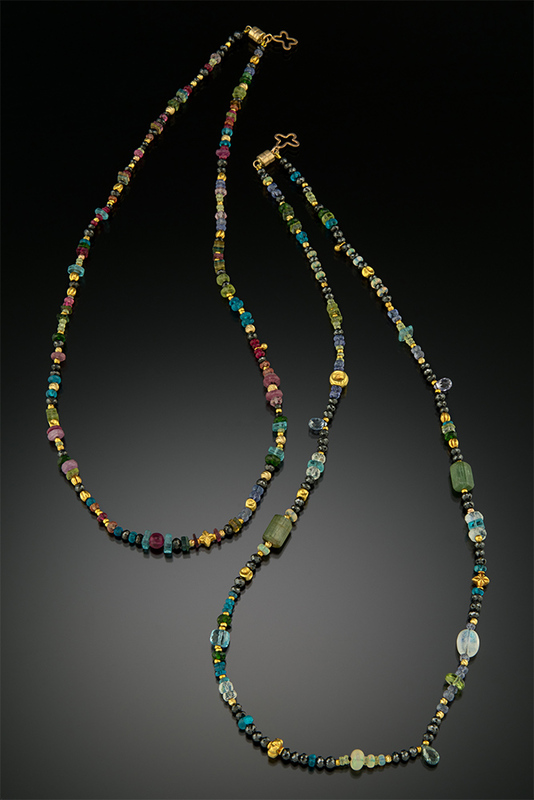 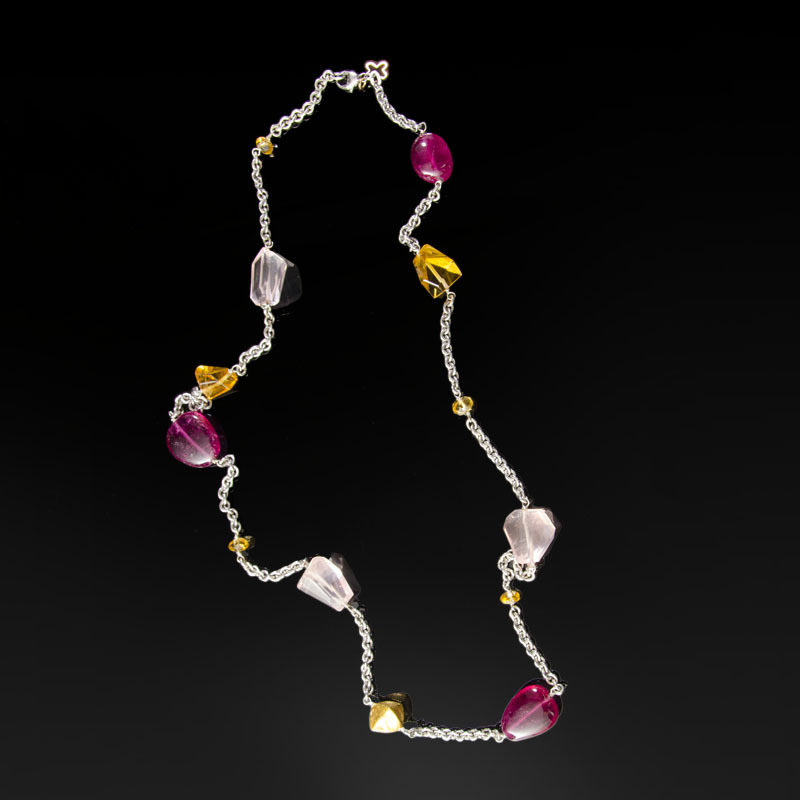 Silver Moroccan bead necklace with 18K gold chains and multicolored Tourmaline crystals. 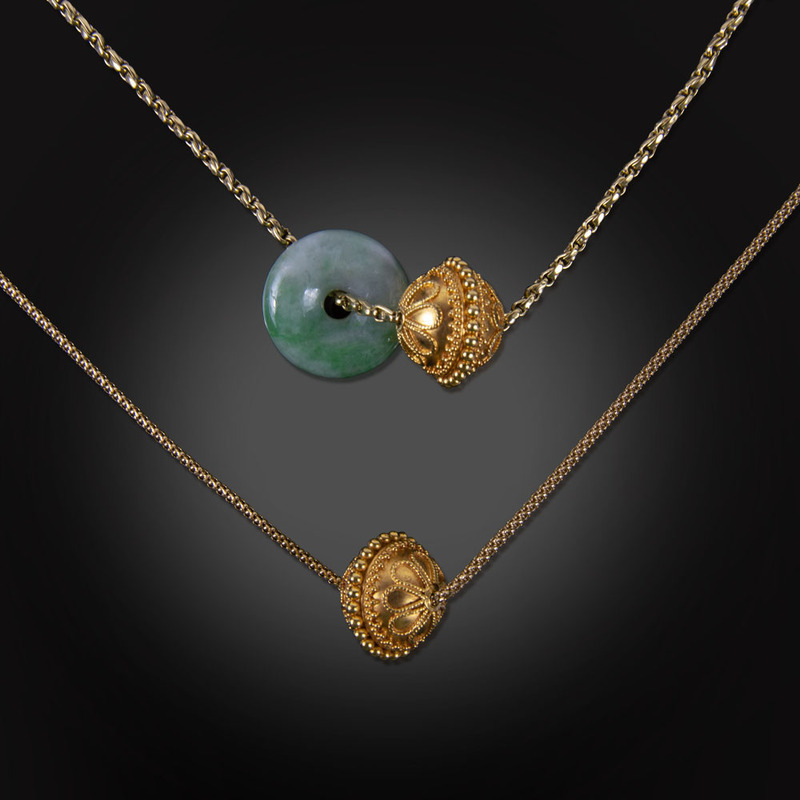 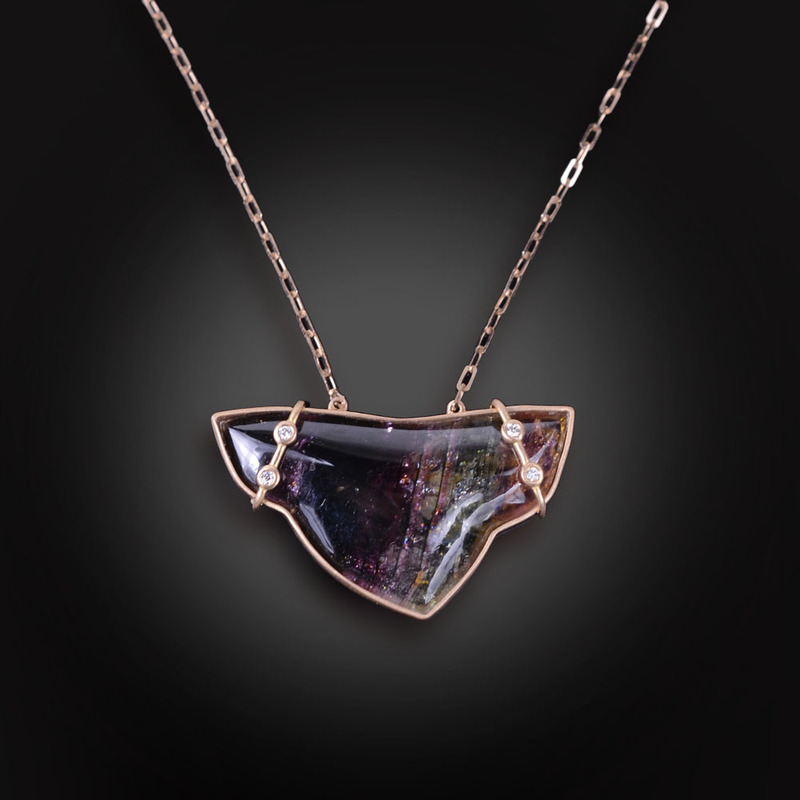 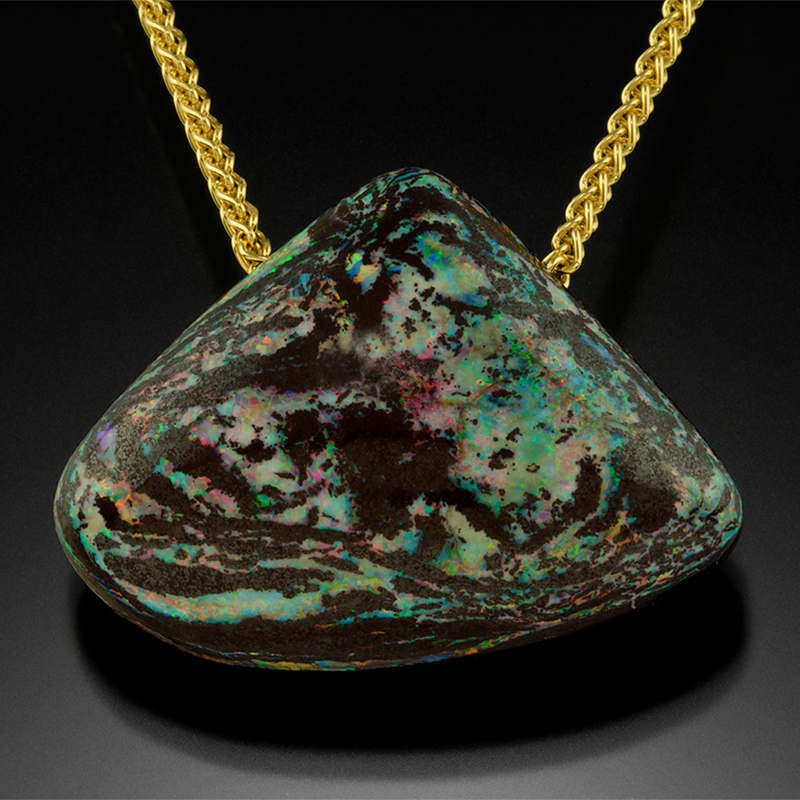 14K and 18K yellow gold necklace with Jasper. 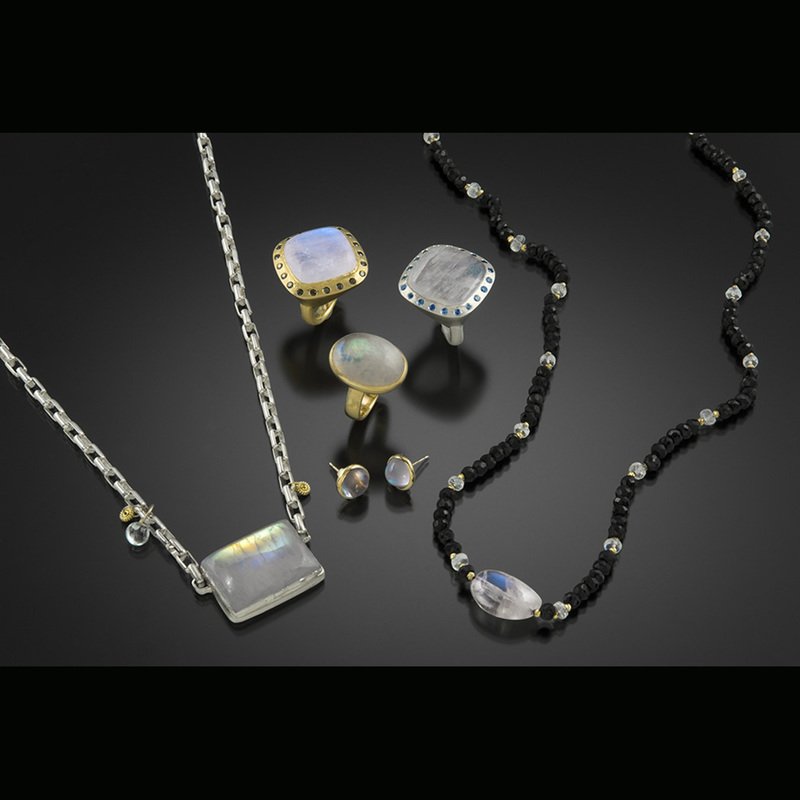 Far right: Moonstone, black Spinel, 14K yellow gold bead necklace. 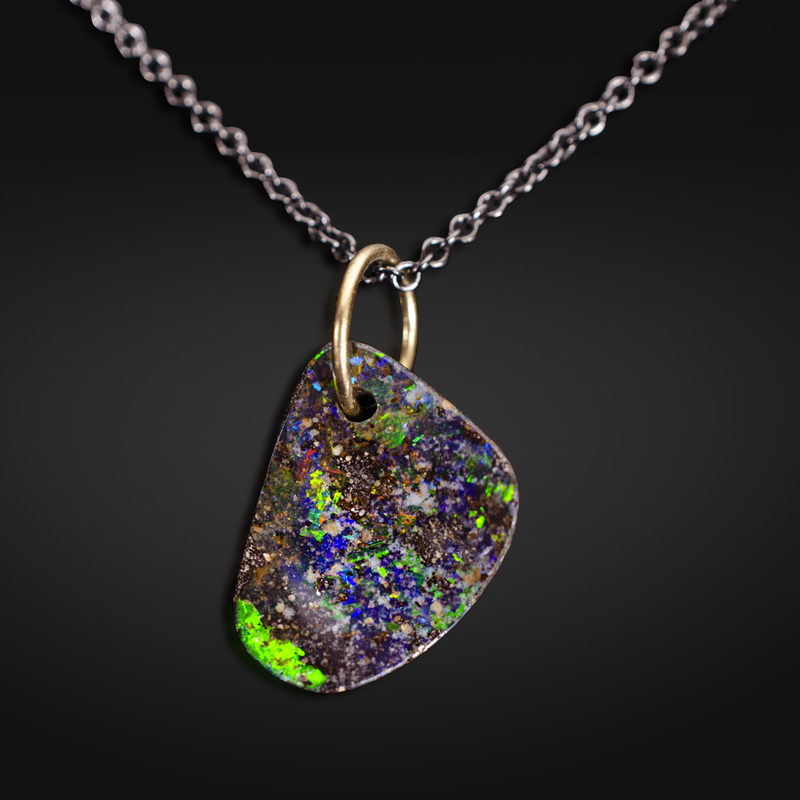 All other options are sold. 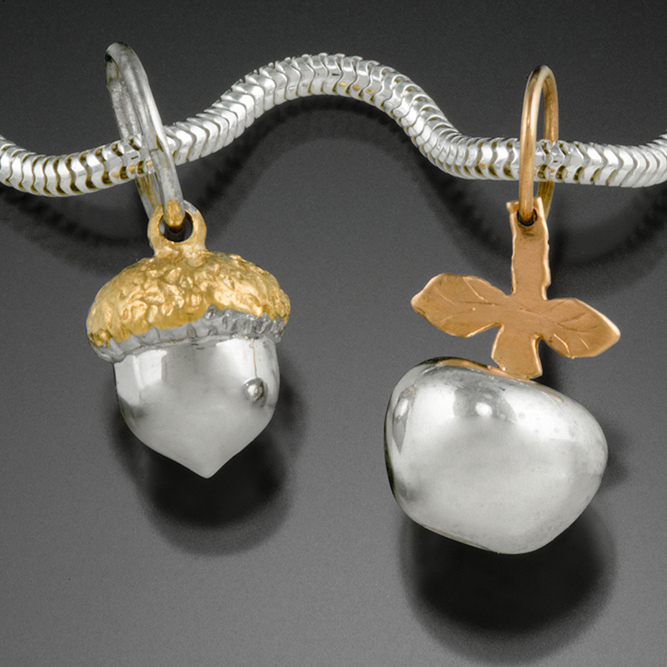 Silver and 14K rose gold Apple and Silver and 14K yellow Gold Acorn. 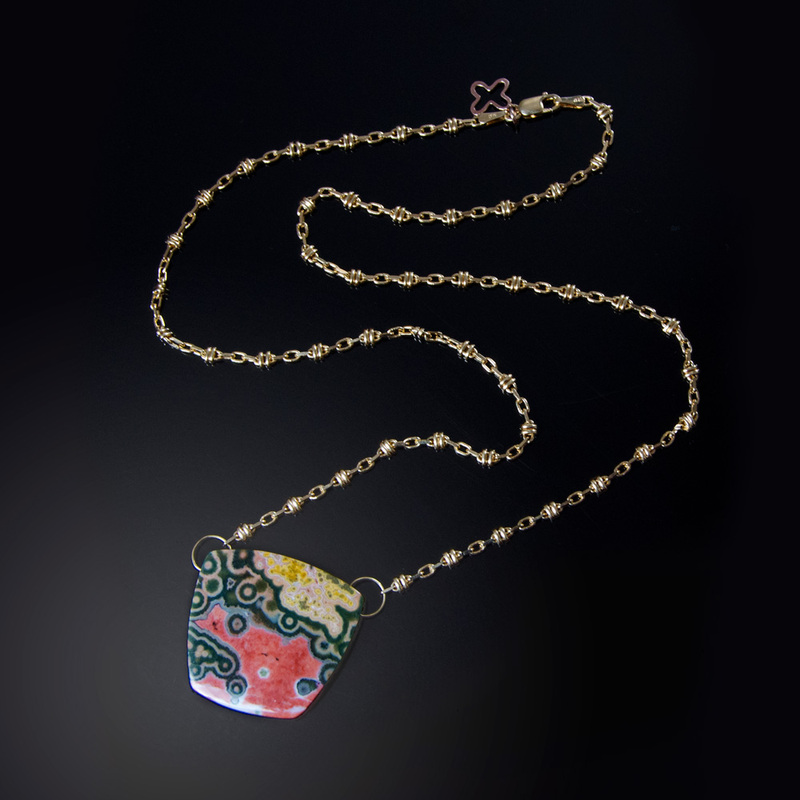 Donation Pieces; I give 5% of sale to education for children. 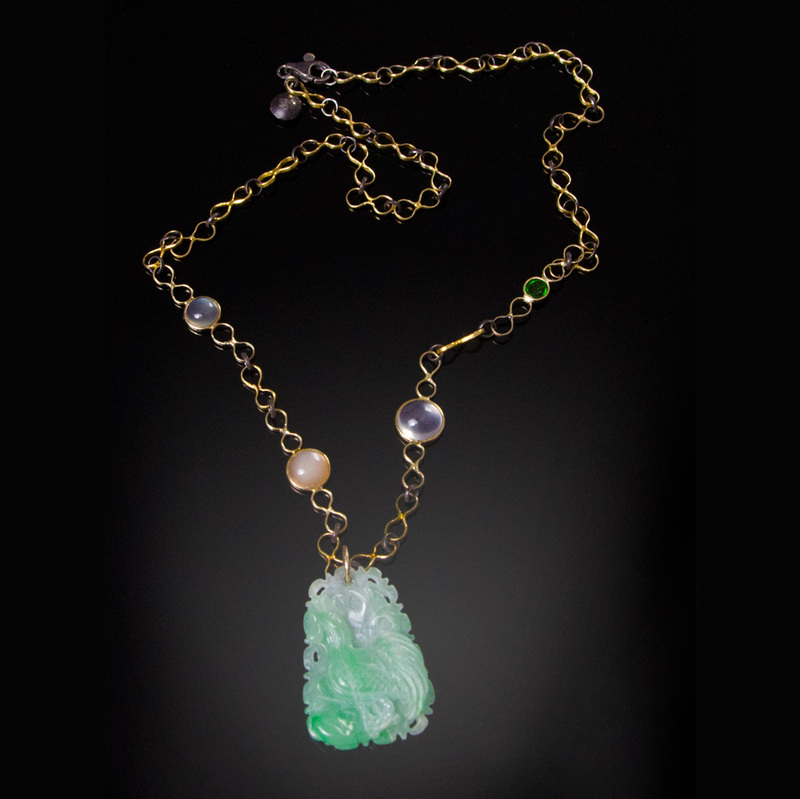 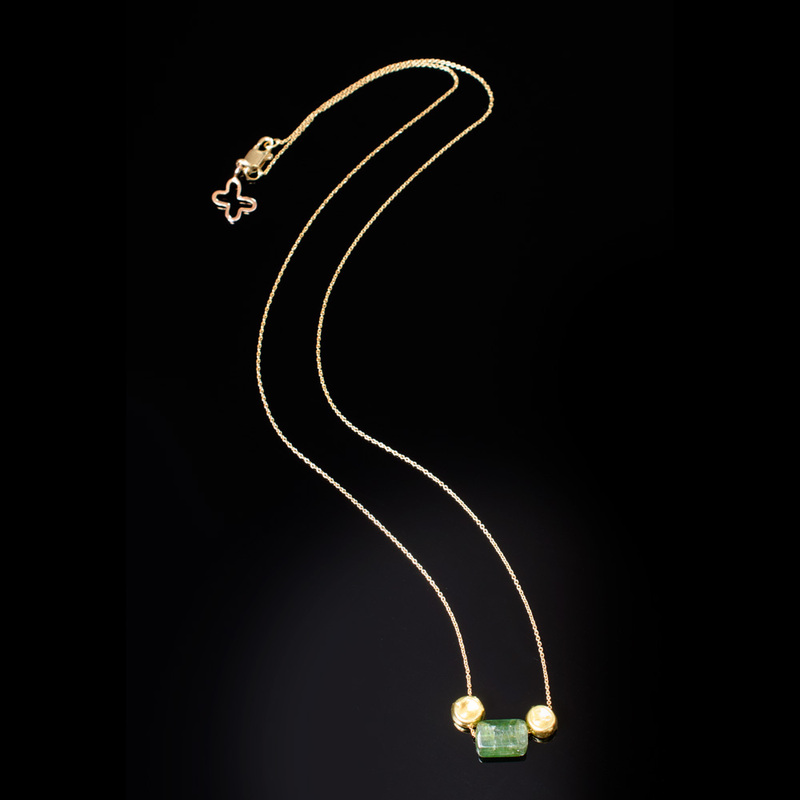 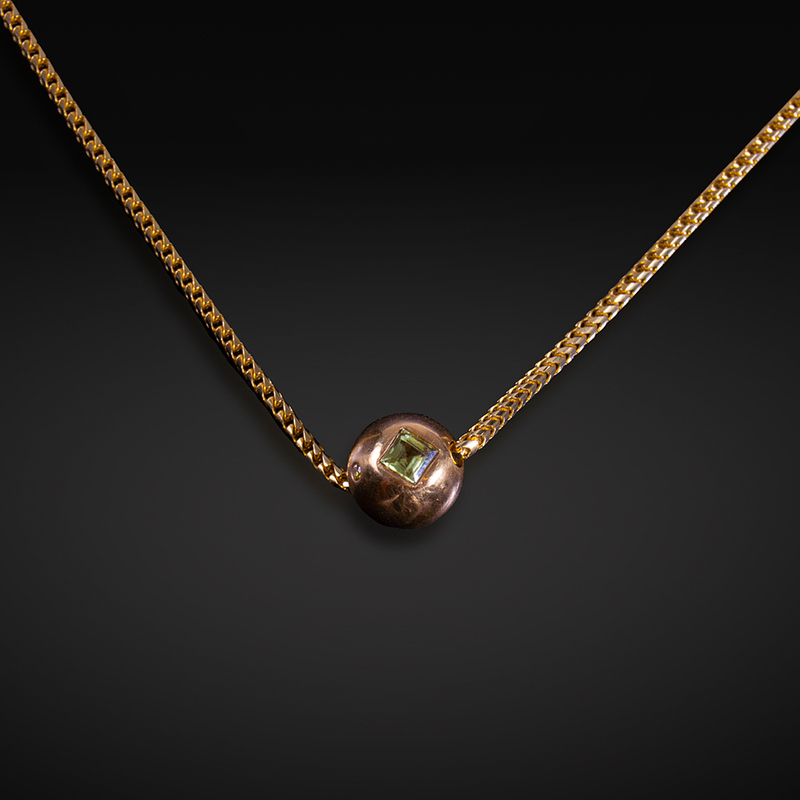 18K yellow gold necklace with green Tourmaline and 18K gold beads. 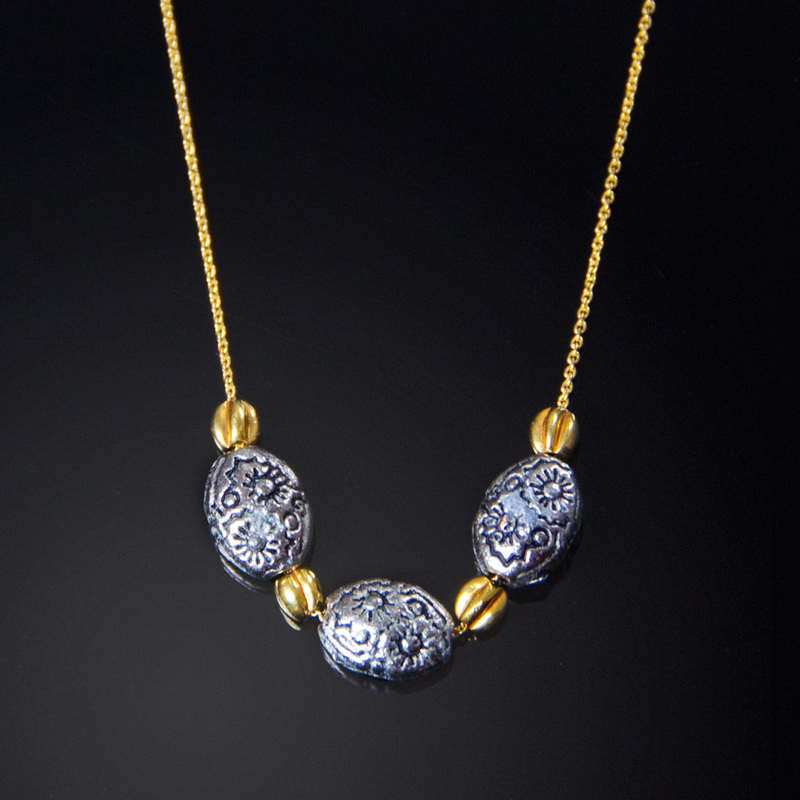 18K yellow gold necklace with silver Moroccan and gold beads.